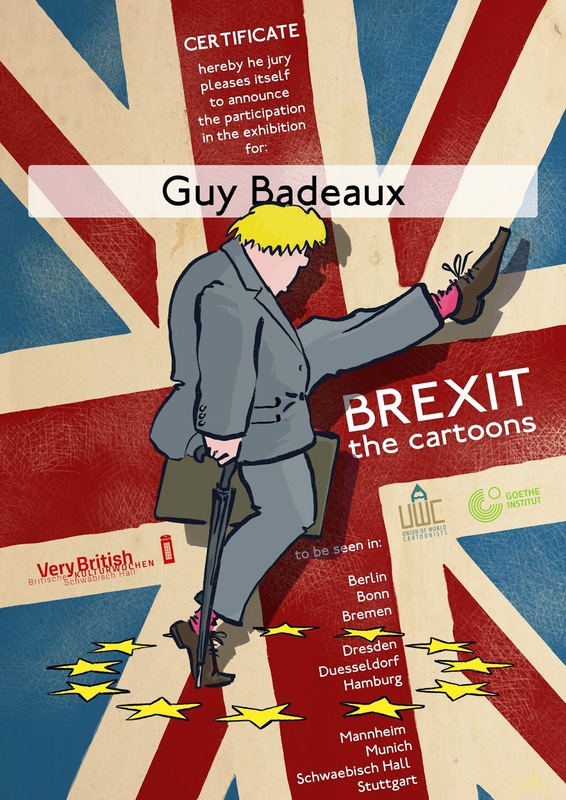 The jury of the "Brexit - The Cartoons" contest selected my cartoon "The road to Brexit" for the exhibition and approved "Theresa May at the door" as an entry. 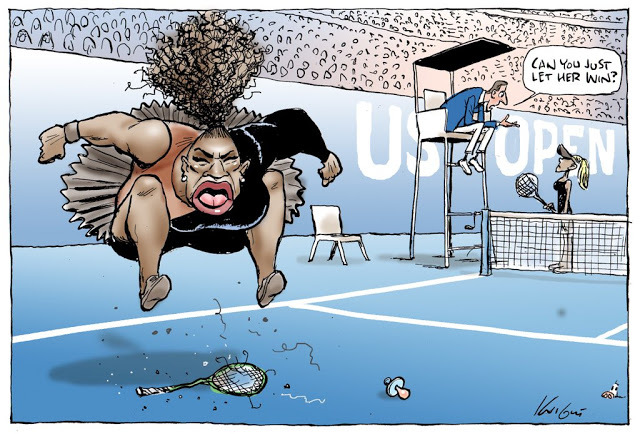 A widely criticized newspaper cartoon, by Australian Mark Knight, showing tennis legend Serena Williams jumping up and down next to a broken racket and a pacifier which she had spat out was not racist, according to the country's media watchdog. From Elayne Boosler's Official Site. This is the Sunday, Feb 10, 2019 cartoon which led to 100 newspapers canceling the brilliant Wiley Miller strip, Non Sequitur. Can you even find the word that caused this? 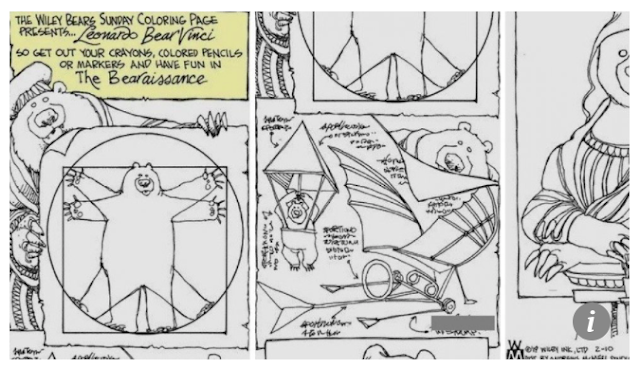 The great, multi-award winning cartoon strip, Non Sequitur, by humanitarian and genius Wiley Miller, has been canceled by over 100 newspapers this week over last Sunday’s cartoon. After decades of award winning genius, and producing over 9,896 funny, brilliant and touching cartoons, last Sunday Wiley included a “wink” to the Resistance in the strip. From the CBC and Global News. Halifax political cartoonist Michael de Adder says he will no longer depict women in violent situations. 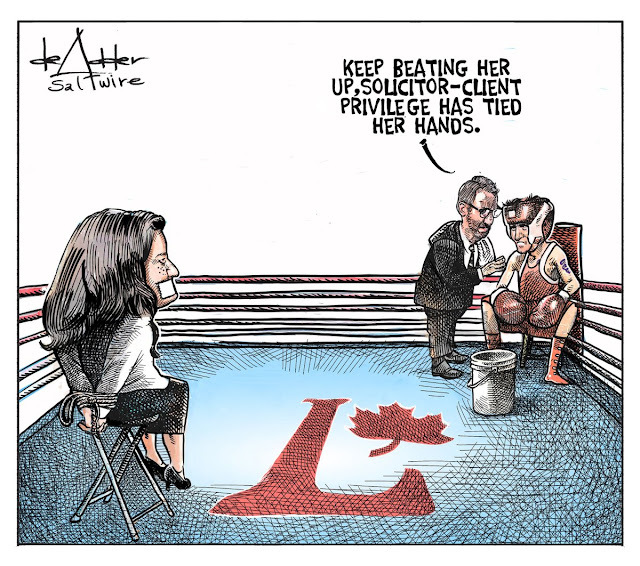 His decision was sparked by a cartoon he posted last week on the SNC-Lavalin affair. 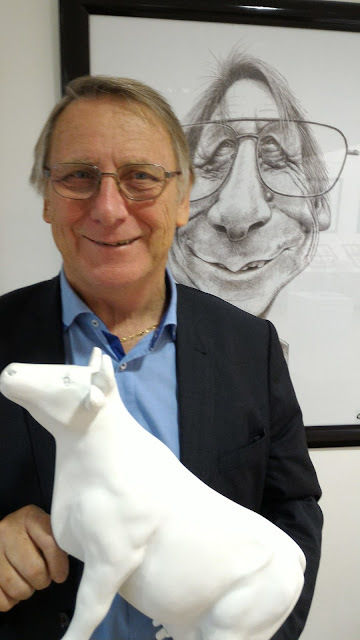 Gérard Vandenbroucke in front of his caricature by Moine. The International Salon of Editorial and Gag Cartoon of Saint Just le Martel yesterday announced the death of Gérard Vandenbroucke, its President and founder. The Butler Eagle, a Pennsylvania newspaper, has dropped cartoonist Wiley Miller's comic strip Non Sequitur over a profane message about President Donald Trump drawn into one of its panels. Strasbourg author, illustrator and illustrator Tomi Ungerer died on Friday night in Cork, Ireland, at the home of his daughter Aria. He was found in the morning at 9:00 in bed. 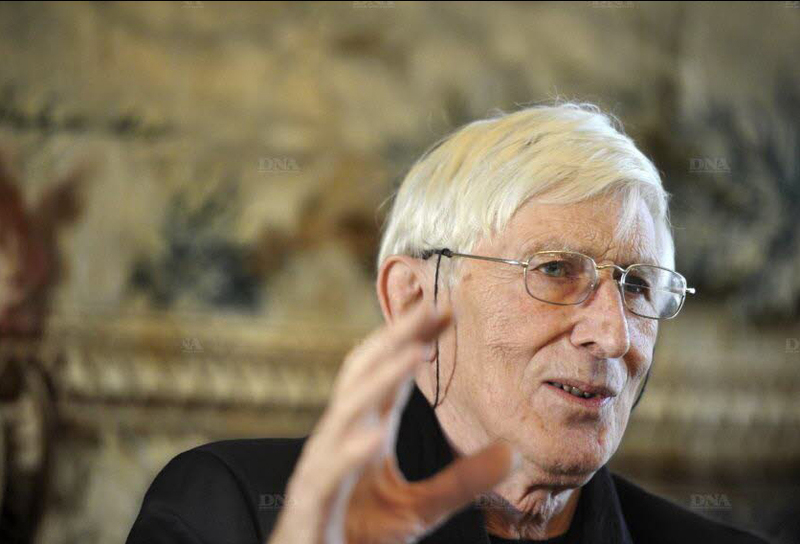 The artist was 87 years old and leaves behind a huge work of which a museum in Strasbourg ensures the radiation. 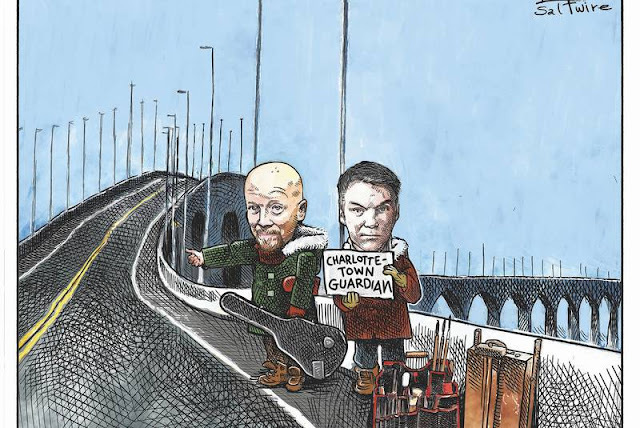 The (PEI) Guardian is adding two of Canada’s top cartoonists and their opinionated snapshots, from lighthearted to biting offerings, to its editorial pages. 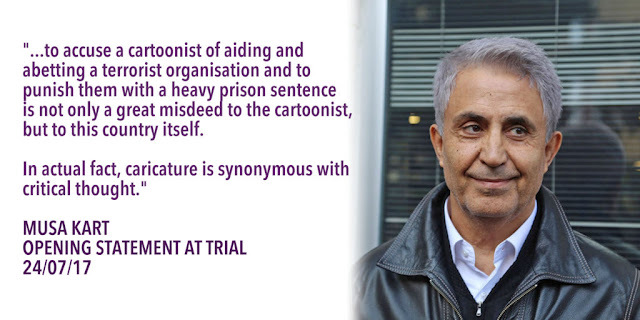 Beginning today, Michael de Adder and Bruce MacKinnon will take turns creating a cartoon for the newspaper’s Monday to Friday newspapers. 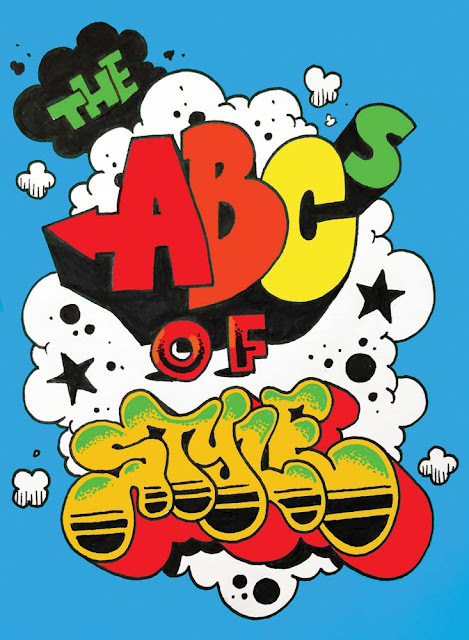 Filled with 26 colorful marker drawings contributed by some of graffiti art's ultimate style masters, The ABCs of Style is part children's book, part adult art primer, tracking the evolution of graffiti letterforms.